Tom Phelan was born in Dublin in 1970 and was educated at Blackrock College, the Dun Laoghaire College of Art and Design in Dublin and Il Bisonte in Florence. He has been a member of the Dublin Graphic Studio since 1992 where he was master printer and studio manager from 2003 to 2007. He has exhibited extensively in Europe, Asia and North America. 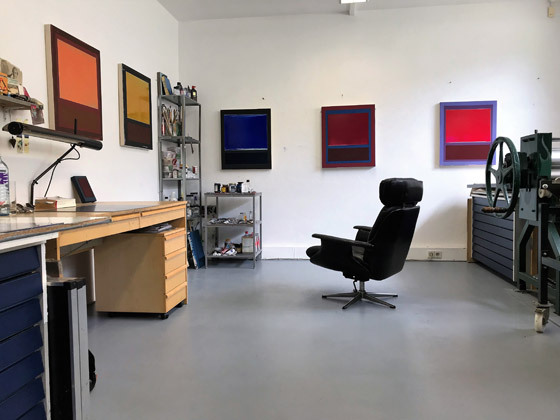 Tom currently lives and works in Vienna, Austria, where he continues his practice in printmaking and painting, while running his own editioning studio. He is also head of printmaking at the Vienna Art School (Kunstschule).